I have never lived in a hostel, didn’t ever think would have to. All that changed, come June 24th, 2018. 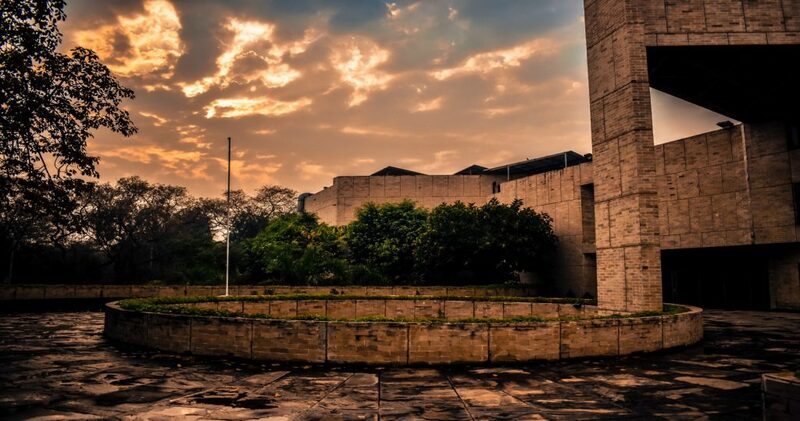 I arrived at the IIFT campus full of hopes and anticipation. The thought of living in a hostel with hundreds of unknown people from different parts of the country only made me more and more nervous. I never thought that I would ever write about this experience, let alone start it with a quote from Dead Poets Society, the legendary film that can be easily classified as the epitome of brotherhood. I believe the reason for this scepticism was the fact that I had worked at a top firm for a better part of 3 years. A firm where results matter a lot, ruthless pragmatism is the way of work and being completely professional is considered a strength. It is a bit difficult for something like brotherhood to develop in such a place as everyone tries to be the best and sometimes in pursuit of their goals they forget to build relationships. Not that I did not enjoy the intensity of these challenges, I yearned for a new one and now I believe the challenge at IIFT is the right one. More on that a little later. So, going back to the first day I arrived, I got a cab from the airport and reached the campus at around 6pm. I asked the guard where the hostel ‘C9’ was and to my surprise, it wasn’t on the campus. It was another 900 meters from the main campus and this new information was enough to trigger a frustration in my cab driver, who, to his credit, was really friendly at the start, welcoming me to a new city and a new beginning. After finally reaching the correct spot, I got down with all my bags and entered what was supposed to be my ‘hostel’ for the entire year. A few handshakes followed as few familiar faces were recognized from the endless WhatsApp chats that had taken place before. I came up to the top floor and found my room and met my roommate and floormates. Casual talks followed as we all went back to the college mess for a nice dinner. Everyone got back talking about a very relaxed first day and hoping for something similar for the next day, the first day of college. We couldn’t have been farther from the truth! The next day started with a lot of zeal and excitement with welcome speeches and the whole batch applauding themselves for being good enough to be admitted into this great institute. Once all the formalities were done, the real deal began. It was called ‘Induction’. I would rather call it our ‘Baptism by Fire’. IIFT has a tradition of producing great students who graduate and move on to do great things in the world of business. This does not come easily. We were given a little taste of what a normal day looks like in the life of an IIFTian. The ‘Induction’ was a week-long exercise aimed at ensuring batch unity, readiness for corporate competitions and making us ready to face the brunt of the rigorous interview and selection process for summer placements. It involved a whole range of activities and assignments that demanded teamwork, spontaneous thinking, leadership skills and mental toughness. Failures lead to more work and success was not necessarily applauded as is the case most of the times in the real world. As all this unfolded in the foreground, in the background, a brotherhood was under construction. The brotherhood of C9. The 64 boys housed at C9 had a kind of a disadvantage. All the tasks given during the induction had to be completed on the campus. Being housed at C9, we had to rush back and forth an extra kilometre with no extra time. This leads to disaster initially, with us not being able to reach on designated time and being penalized as a group because of only one or two people missing crucial deadlines. Everything went haywire initially and we failed in almost all our tasks. There was a clear gap in communication, leadership, and teamwork. We had to understand that we would not be able to conquer this herculean task individually and needed to work as a unit, a team, an entire army division! And that is what we did. Slowly but surely we made sure that we looked after each other, ate well, kept our energy levels high and morale boosted up. The ‘Induction’ tested our limits in every way possible and we could only get through it as a team. At the end of the week, the Brotherhood was born. A bunch of strangers thrown into a cauldron of intense competition came out as one big family!